Check out our gallery of Cocoon Daytime back at Cap Martinet's clifftop retreat. Ibiza is famed for hosting the best club nights in the world, with some of the biggest party brands flying in international DJ talent to play at industry-leading venues. Looking back to Ibiza's past, we find it earned part of its reputation as a party destination with its open-air events. That hankering for dancing in the sun lives on to this day - and few venues embody the hedonism of daytime partying more than Pacha's decadent Destino resort. On selected Thursdays throughout the summer, the stunning open-air venue brings you Destinomakers with a conveyor belt of stars. 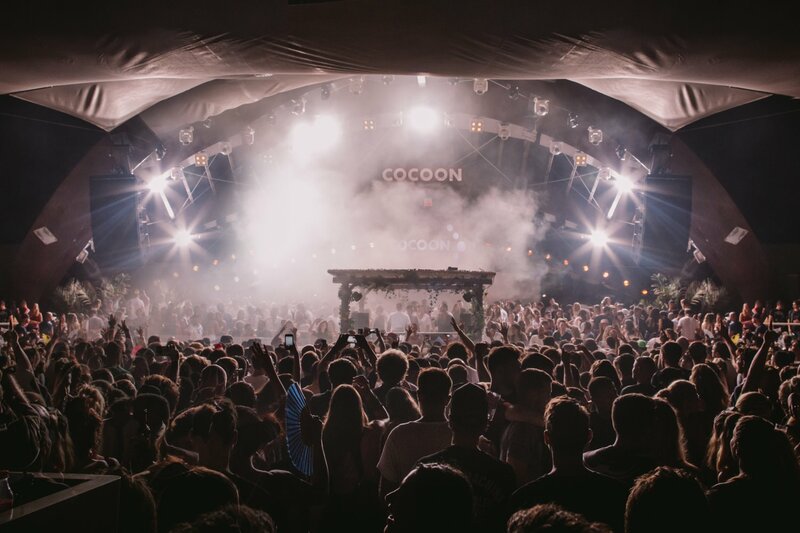 Having already had a dose of Cocoon daytime antics at the start of June, we were eager for a second edition. Now at the midway point of the summer, the temperature reaches its apex and the second date could not have landed at a more perfect time. Following on from their appearance at Pacha the night before - which included a rare back-to-back - Sven Väth and DJ Koze still had plenty of gusto left in the locker. Along with Cocoon regular Maurizio Schmitz plus a very special live performance by Tim Green, we knew we were in store for a treat. On the day, we heard some incredible music from the likes of Dennis Ferrer, Manoo, Andhim, Isolée, Talaboman - tracks which really captured the mood of our surroundings. A regular contributor to the Cocoon label, Tim Green recreated music from his recent album. Both the dance floor and Destino's deluxe pool basked in the afternoon heat. KNOCK! KNOCK! It's DJ Koze on the decks. Few DJs' record collections are better suited for sunshine dancing. Brothers in arms. Koze and Sven share a tender moment. Arguably the track of the summer, Koze's own Pick Up gets a massive crowd reaction. As dusk settles, the tempo on the floor raises up a notch. Destino always draws the best from vinylphile Papa. He loves the wax! With darkness having fallen, Sven brought us to a thrilling finale with a reprise of Pick Up. Destinomakers returns next Thursday with It's All About the Music and a headline set from Marco Carola, making his debut at the venue. Support comes from former Music On resident Hector, Pacha's own Alex Kennon and Cuky. Check below for tickets and further details about this and other upcoming events.